By utilizing terpyridine-bridged parallel metallo-complexes as dication metallo-bisviologens, herein we present the synthesis and characterization of two novel supramolecular complexes. 1-Methylpyridin-1-iumterpyridine ligands and their metallo-complexes were first designed and synthesized, and the association of methylpyridiniums with dibenzo-24-crown-8 ether(DB24C8) afforded the desired novel complexes through host-guest interactions. The self-assembly behavior of the supramolecular complexes was comprehensively investigated and could be exploited for further construction of 1D to 3D supramolecular infrastructures. 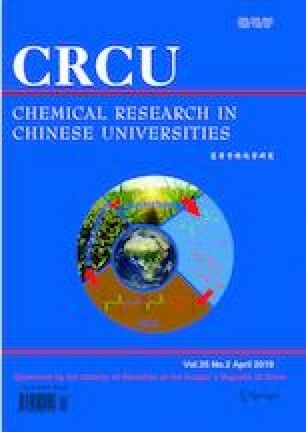 Supported by the Fundamental Research Funds of Central South University, China(No.2018zzts012). Supplementary material is available for this article at https://doi.org/10.1007/s40242-019-8279-2 and is accessible for authorized users.